This phone is excellent but with the rom 6.5 windows mobile it is so eficcient! terrible phone. battery, logic, and now memory full despite new sd card, it has stalled. i like this phone, very optional.. The phone is great. I have for a mounth. Great phone, but i found the display scratched easily, and the call quality isn't that great. I like the phone, hate the operating system. The phone seems to be well designed and well built. It isn't touch screen (Windows 6.1 is the touchscreen version of Windows 6.0) but I wanted a phone to use as a phone so was happy with that. Windows 6.0 though has given me problems from the outset, whilst it syncs ok, loading Contacts from the computer proved a major headache, THERE IS NO DISTINCT CONTACTS FOLDER! Instead Contact details are embeded within an executable (EXE) in conjunction with at least two other files not readily accessible to user. Call logs are assigned directly to Contacts themselves, and I do not want this. You can add contacts to the phone manually no problem, but I suspect most people will be migrating from other phones and will want to just tranfer contact details rather than enter them in all over again. It seems to be designed mainly for use with Outlook, what of users who don't like Outlook? I do not use Outlook due to the security holes. Likely I will not be using this phone due to data security concerns. With Windows 6.0 until I can reasonably ensure the security of either my own or others personal data, phones using this oprating system are a no no. - A very nice, well built reasonably priced phone if you want Windows 6.0, on consideration I do not now want Windows 6.0, 6.1 or the like, though otherwise I like the phone itself. too short stand by time..
Necdet, 13 Jan 2009I got one of this phone. I'm very happy. Bluetooth is good. I tested Wi-fi connection with Fri... moreThis is a lovely phone. This must be the smallest with a normal phone keypad running windows. It would be perfect if the battery lasted more than half a day! The phone is perfect. Sometimes a bit laggy because of the window os but still a perfect phone. I got one of this phone. I'm very happy. Bluetooth is good. I tested Wi-fi connection with Fring and IE. Its very fast and working fine. Easy to use menus and phone. Synchronization with computer works fine. Outlook Exchange server connection is also working very good and mails come automatically when received. microphone quality is good but speaker sound is not good. quite low. koon, 12 Oct 2008samsung i200 is better than this...well if you compare the price you will see how this is the better phone. This costs $120-$150 and the Samsung i200 costs $300. 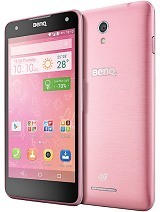 There is plenty of phones and cost $300+ and are better but for this price you wont find another phone like this one. James Horne, 08 Dec 2008It look pretty stylish but before i buy it i need to know whether it works with Windows Mobile... moreAs of now, no winmo 6.1 for this phone. Me, too, is waiting for 6.1 before i buy this cute phone. I bought a Benq E72 on EBay as a standby, easy to pocket second mobile,its very small easy but easy to use and to sync with my PC which meant I had all my contact phone numbers on tap within minutes, however what makes the Benq E72 impractical/unusable is the battery dies in day or less depending if you use it! It look pretty stylish but before i buy it i need to know whether it works with Windows Mobile 6.1 can anyone shed some light? Does it come in other colours??? 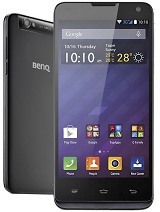 Total of 57 user reviews and opinions for BenQ E72.